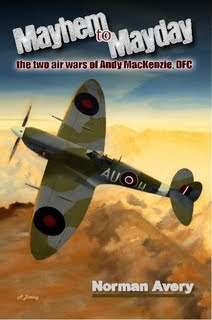 Andy MacKenzie was the only RCAF pilot show down in Korea. Added to that years as a POW with the Chinese, and being an Spitfire ace in World War Two you would expect his biography to be fascinating. It is, but sadly the power of the story is marginalized with poor production values and terrible editing. Much like Mr. Avery's Spartan - Seven Letters That Spanned the Globe, this is a decent book that would have been a great book with better editing. The first page of Chapter one is basically unreadable because of typos, the writing could use a general tightening up, and apparently Mr. MacKenzie flew F86Fs in Korea with the 139th Squadron, USAF. (Maybe the author means F-86Fs with the 39th FIS?) When the author can't get basic facts correct it makes you call into question the veracity of the rest of the book. Still an eye opening story, I just wish the book could have done it better justice.